LanternCast Presents: Green Lantern: Pre-Birth #10 – The Spectre #11! The Phantom Stranger guest-stars to help Hal Jordan understand his mission and role as the Spectre in an entirely different way! Join the Phantom Stranger, the Spectre and Helen Jordan as they take a unique journey that takes them to several unexpected stops and leads to some surprising discoveries. And should we mention the final page with probably the most unexpected appearance of all time? Throw in some listener feedback and you have a solid episode, so take a listen! LanternCast Presents: Green Lantern: Pre-Birth #9 – The Spectre #10! Hal Jordan takes on his own personal demon, the part of him he fears the most: Parallax! And thanks to the effects of the “Joker’s Last Laugh” event, this Parallax has been “Jokerized”! While this version of Parallax may be more fun at parties, he certainly is no less dangerous and possibly even more of a threat than ever before. Can the Spirit of Redemption stop him? Or is a little, old-school vengeance needed to get the job done? Take a listen and find out! 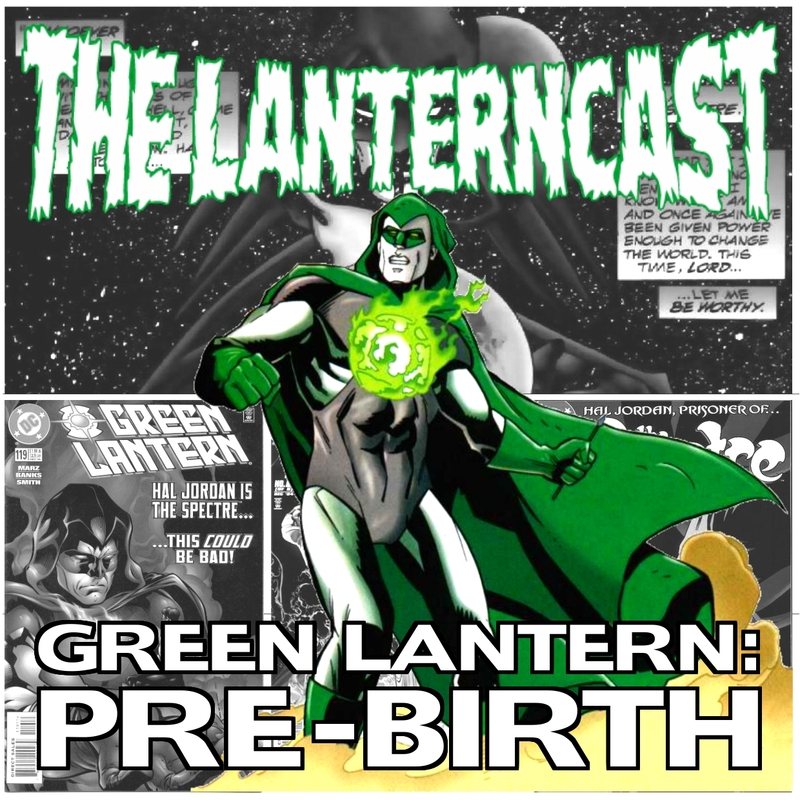 LanternCast Presents: Green Lantern: Pre-Birth #8 – The Spectre #8-9! Will another tragedy force Hal Jordan to embrace the Spirit of Vengeance again? It certainly looks that way as Hal seeks out Monsieur Stigmonus for payback after the cliffhanger from last episode! Can Helen resist temptation while keeping her Uncle Hal on his path for redemption? Throw in some more big picture concepts about Heaven and Hell, and more dead Jordans than you can shake a stick at, and you have an entertaining episode! Join Mark and Jim as they wrap up “The Redeemer” story arc! 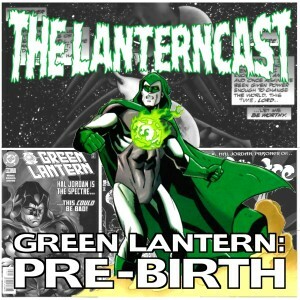 LanternCast Presents: Green Lantern: Pre-Birth #7 – The Spectre #6-7! Hal Jordan meets his new arch-nemesis, Monsieur Stigmonus, as they battle for the soul of Hal’s niece, Helen! Why is Helen so important? Oh, she might just be the future savior of mankind. Possibly. Confused? You’re not alone, but Mark and Jim work hard to try to make sense of this as they delve into the first two parts of “The Redeemer” story arc! LanternCast Presents: Green Lantern: Pre-Birth #6 – The Spectre #5! Hal Jordan gets an important lesson in the nature of duality as he and the Spectre confront the ultimate example of it: Two-Face! Can Harvey Dent live without Two-Face? And can Hal Jordan live without the Spectre? Take a listen and you might just find out! All that, plus Rebirth speculation, Toy talk and more! LanternCast Presents: Green Lantern: Pre-Birth #5 – The Spectre #2-4! Hal’s journey continues as he learns the true nature of the Spectre’s essence while confronting Mistos and the Risen. And he makes some time to save Superman and Batman’s bacon too! All that, plus Jim shares his thoughts on the GL Universe and Mark explores the content of the very first Star Wars “Smuggler’s Bounty” collector’s crate! It’s more podcasting magic people!